John Tribble has been named vice president and chief administration officer for CM Regent Insurance Company, a subsidiary of Church Mutual Insurance Company. In his new position, Tribble will be responsible for the Loss Control Department and have dotted-line responsibility and day-to-day oversight of the Shared Services departments: Claims, Marketing, Information Technology and Broker Relations. Tribble joined Church Mutual in January 2016 as a territory manager. He was promoted to director of diversity and inclusion in January 2017, and named to his present position in September 2017. 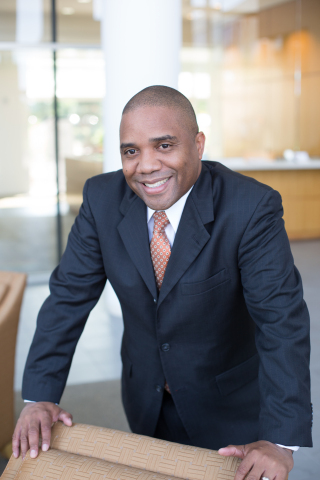 Currently, Tribble serves as assisant vice president and chief diversity officer for Church Mutual. He will continue serving in that capacity while the company recruits a new leader to fill the position. Tribble earned a Bachelor of Science degree in business from Liberty University in 1992 and an MBA from the University of Baltimore in 1993. In addition, he holds the Chartered Property Casualty Underwriter and Casualty Claim Law Associate designations. A mentor and role model to professionals in and out of the insurance industry, Tribble serves on the Independent Insurance Agents and Brokers of America's Diversity Task Force and has served on the board of directors of the Urban League of Greater Hartford. He is a strong advocate for diversity throughout our organization and works closely with many young professionals, including members of the MKE Fellows program. CM Regent Insurance Company is a leading property and casualty insurance company dedicated to serving the public and private K-12 schools, colleges and universities. CM Regent Insurance Company began in 1971 by providing protection coverage to Pennsylvania schools through the Pennsylvania School Boards Association. They have been a trusted expert in providing protection and risk management advice to schools for more than 45 years. For media inquiries, contact Dawn Bernatz, director of marketing strategy and communications, at (715) 539-4574 or dbernatz@churchmutual.com.